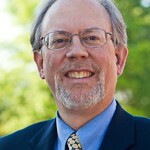 Eastern Mennonite University is gearing up to celebrate a long-standing dream come to fruition. On Saturday, Mar. 26, 2011, facilities that comprise “Phase II” of the $2.5 million University Commons project will be dedicated in ceremonies starting at 1 p.m. in the renovated Mainstage Theater on ground floor of the Commons. The brief ceremonies will include comments from EMU President Loren Swartzendruber, remarks by undergraduate academic dean Nancy Heisey and a litany written by Jay B. Landis, professor emeritus of English. SGA co-presidents, Benjamin Bergey and Michael Spory, and EMU Board Chair, Andy Dula, will participate in the litany. EMU personnel will lead tours on a rotating basis between 1:45 and 3:30 p.m. Each presentation will last around 15 minutes. EMU students relax at the renovated and expanded Common Grounds coffeehouse, a student-run enterprise where campus concerts, forums and discussions, and other events occur throughout the semester. The renovated Main Stage Theater seats 200, nearly 10 percent more than the previous space. Renovations immediately apparent include a more gracious entry, new seating and curtains and better audience lighting and aisle lights. With all that, the intimacy and semi-thrust form of the previous configuration has been retained. New technology includes new stage lighting and sound reinforcement equipment, a high-intensity LCD projector and automated rigging systems for accessing the over-stage equipment. The best part: completely new dressing rooms, adjacent to the stage house, including shower and changing rooms for men and women, 12 makeup stations, laundry facilities, and a “green room” lounge area. The relocated Studio Theater, named for the late Lee Eshleman, a 1986 EMU art graduate, provides the theater community with a flexible space for producing plays in an infinitely variable setting. Called a “black box” because of its neutral color and shape, it is capable of becoming any form of stage with the addition of portable seating risers and stage scenery. Included in the new space are a permanent balcony ready for actors, crew, or even audience members, new stage lights and lighting control system, and an all-over automated lighting grid for ease of access and maximum flexibility. Of particular advantage is the new location’s close access to Common Grounds for intermission or after-show refreshments and conversation. 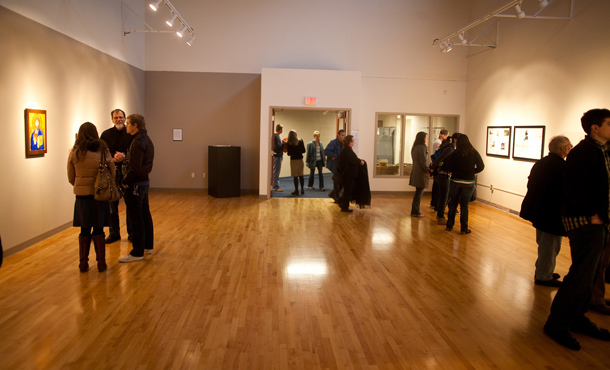 The new Margaret Martin Gehman art gallery will provide a beautifully designed and illuminated space for EMU students and guest artists to exhibit their work. The 31′ by 21′ gallery is a tribute to the energy andpassion of Dr. Margaret Martin Gehman, professor emeriti of art, who taught and inspired decades of art students at EMU. The new advanced media Lab, named in memory of the late Kenneth A. Longacre, Sr., will allow classes to expand from nine to 15 students in each class. The computer pods are set up to encourage collaborative work and enable the critique process. The projection system – the old lab didn’t have one – offers high-definition projection for video and near color-accurate images for photography. The open space allows camera and lighting demos to be carried out within the lab along with tables to do alternative processes. Proximity to faculty offices encourages increased student faculty interaction and feedback. 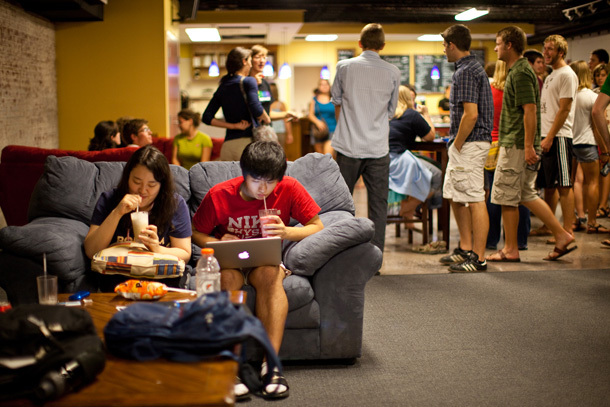 The Phase II renovation gives Common Grounds Coffeehouse an overall seating area increase, allowing students to have more space to study, meet and socialize. The most noticeable change is a sound/light booth and a stage for performances and events. The stage is made from maple floor removed from the old gymnasium. For the first time, Common Grounds has a window to the outside world, bringing in natural light from the south. Other aesthetic improvements include: exposing the original brick walls, polishing the original concrete, painting the ceiling and updating the light fixtures. Not to be overlooked is the first real climate-control system, giving the space both air conditioning and heat. The student manager’s office was moved to join the space, giving the whole student staff much more opportunity to collaborate and interact on the job. A presentation of the spring EMU Theater production, “The Bus Stop” by Gao Xingjian, will take place 7:30 p.m. Saturday in the Main Stage Theater. Activities will conclude with a concert of original acoustic music from Denay and Friends at 9 p.m. in the Common Grounds Coffeehouse. “The dedication of the Commons Phase II renovation project marks the fulfillment of the hopes and dreams of many people,” says Kirk L. Shisler, vice president for advancement. “It is gratifying to see the completion of this project after years of planning and then, more recently, a breakthrough of several large contributions that fueled it to fruition. A strong sense of collaboration among faculty, physical plant and administration also enhanced the project,” Shisler added. For more information on the day’s events, contact Laura Daily in the advancement division office at laura.daily@emu.edu; phone: 540-432-4203.
can’t believe this is the same space where we once played ping-pong in the old student lounge or intramural basketball wearing long pants in the old gym. The only thing that’s permanent is change . . . c’mon out to the dedication and open house next Saturday, Mar. 26. You’ll be amazed, and perhaps strangely warmed . . .